Floor mats are unsung heroes. While they often go unnoticed, they’re always around to protect workers, customers, children, adults, and athletes. Floor mats are commonly found in dance studios (as portable dance floors), animal stables, automobile garages and playgrounds. They serve a wide variety of purposes and come in a large range of materials, colors, and designs. Floor mats have been around for decades to prevent injuries and keep people safe. Floor mats can keep floors clean and safe while providing insulation for people and animals. Floor mats are great at absorbing high-impact collisions, such as a horse’s hoof or a tumbling cheerleader. The versatility of floor mats means that there are many uses for them across a large range of businesses and environments. Horse mats are commonly used in stables to offer padding for animals against the hard concrete floor. These floor mats replicate a surface much closer to the grass that these animals would naturally live and sleep on in the wild. Stall mats prevent wear and tear on the barn floor. For prestigious show barns, keeping a clean stable is crucial, and high-quality horse mats can keep floors from needing to be replaced continuously. Some horses tend to paw and dig a hole in their bedding. This hole can potentially lead to injuries for both the horses and their owners. Floor mats prevent the uneven distribution of bedding caused by pawing. Floor mats prevent urine drainage in stalls. When urine is left to drain into dirt or bedding, the soiled material can spread strong odors and potentially be harmful to the health of animals and humans. For many barns, horse mats are also crucial in reducing a potentially life-threatening condition in horses called colic. This abdominal disorder can occur when too much sand is ingested by a horse. Many barns that have sand bases for their stalls opt to use horse mats to keep the horses from accidentally ingesting the sand while eating. Horse mats come in many shapes, sizes, and thicknesses. While most mats are moveable, some mats can be permanently installed. Gymnastics and cheerleading can be dangerous sports when the athletes aren’t properly protected. Tumbling mats are designed to be portable and heavily padded. 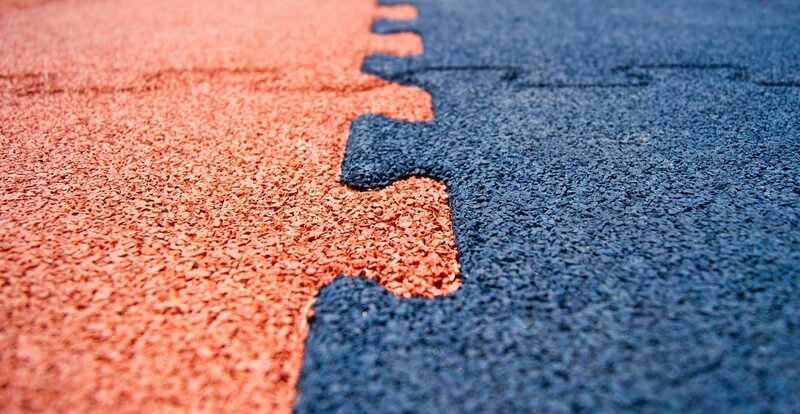 These mats are designed to take a beating: the thick padding protects athletes from pole vault dismounts and intricate somersaults and backflips. They come in a wide range of sizes depending on the purpose. Some of the larger mats can fold up for easier portability. Be sure to do plenty of homework with these mats to get the best fit for any specific use; there are many websites that have tumbling mats reviewed for buyers to check through. These mats were originally designed to protect athletes during dancing, cheerleading, and gymnastics exercises. Tumbling mats are commonly used to protect children and adults with disabilities. These mats provide a comfortable space for individuals who would prefer to sit on the ground or are prone to sudden falls. Physical therapy professionals use tumbling mats to protect clients while they work to strengthen their muscles. Tumbling mats offer comfort for exercises done on the ground and can protect clients who may fall due to overworking their muscles. Some roughhousing kids need mats thicker than normal playground mats to protect them. Parents who struggle to keep their kids injury-free often try using a tumbling mat in their play rooms to keep kids safe. Many people use tumbling mats for yoga and stretching. These mats are more thick than traditional yoga mats and can provide extra insulation for intricate and strenuous positions. Wrestling mats are a specific type of floor mat used for wrestling and martial arts. 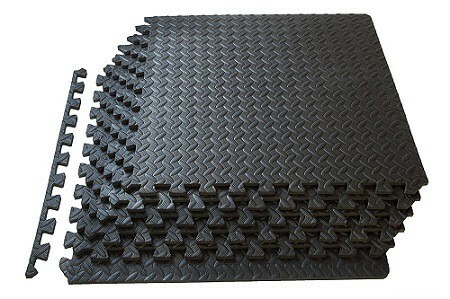 These mats are often a bit less padded than the traditional tumbling mat, but share the same purpose. Many wrestling mats offer patterns with rings that are used in the wrestling match to designate being in-bounds and out-of-bounds. Whether at a large outdoor playground or in the playroom at home, roughhousing kids are bound to take a nasty fall at some point. Playground mats are important to keep kids safe while they play. These thick mats are padded to prevent injuries when small kids topple over. Popular playground mats include the rubber mulch of public parks to the famous brightly-colored interlocking tiles seen at elementary schools and homes worldwide. Outdoor mats offer both style and function. With a wide variety of patterns and colors, outdoor mats can complete the look of a porch or back deck area. Many outdoor mats are also designed with sturdy bristles to keep people from tracking dirt and debris inside. These durable mats serve many purposes and are a great addition to any home. Cars are an expensive investment, and all car owners want to do what they can to keep their cars clean and beautiful. Car mats are a great way to protect cars from dirt and damage. These removable mats lay over the top of the footwell for the driver’s seat, passenger seat, and back seat. These removable, reusable mats are designed to be taken out and thoroughly cleaned outside of the car. 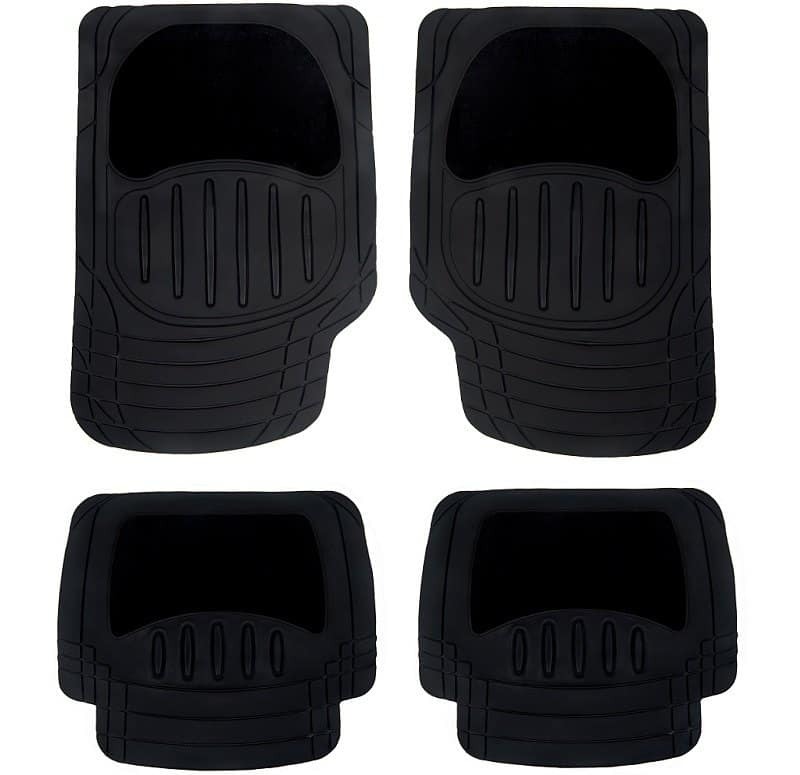 Each car has a specific footwell layout, so be sure to get the right car mat! Bathrooms, pools, saunas, dish rooms, outdoor ramps, bars – many common places in our day-to-day lives are exposed to water. Wet area floor mats can help keep the water out of dry areas while providing an anti-slip surface to keep workers and customers safe. Wet floor mats are crucial in slippery conditions to prevent dangerous falls. These plush mats are designed to support workers who stay on their feet all day. These small mats can be placed at cash registers, restaurant hostess stations, and assembly line stations to help workers keep comfortable. Most gym-goers don’t take the time to analyze the floor of their gym, but if they did, there’s a good chance they’d find rubber floor mats. 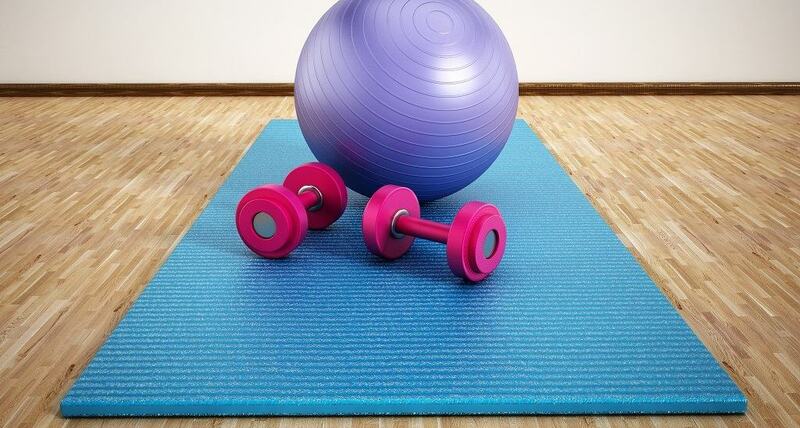 Gym floor mats are important for keeping people safe while they exercise. Gym mats are also crucial for preventing floor damage when heavy weights are dropped. Restaurant kitchens need mats to protect the floors from spills while supporting chefs, busboys, and waiters. These mats keep workers safe while making sure that kitchens remain clean and sanitary. Most kitchen mats offer drainage holes for accidental spills and protect workers from slips caused by grease, food scraps, and moisture. Many hotel and restaurant customers are greeted by beautiful entrance mats featuring the business’s logo. These mats are great for spreading logo recognition while protecting customers from falls. Logo mats dry off customer’s feet while dually preventing them from bringing dirt inside, lowering the amount of cleaning workers will need to do. These double-duty mats serve many purposes to help both customers and businesses. Many factories have sections where electrical currents can put workers at risk. Anti-static mats prevent the spread of electricity and stop potentially deadly high-voltage shocks. Some mats are electrically conductive to protect sensitive equipment while also protecting workers. Anti-static mats are not very well known but are crucial to protecting thousands of lives every day. These incredibly versatile mats are available in a wide range of styles and colors. Floor mats can be designed to mimic laminate floors. They can also copy a laminate or wood look while providing padding and durability. Laminate floor mats are also much easier to remove and replace than authentic laminate flooring. Floor mats are often designed with a pattern. These patterns can include solid colors, words (“welcome!” or “please wipe feet!”), or pictures. Wood floor mats are great for water drainage. They offer a unique style to any room. Many wooden floor mats are made of bamboo, but some floor mats are made of traditional materials such as oak or pine. Plastic floor mats are usually used to protect floors against spills. Plastic floor mats are usually put over carpets and can be used to help rolling chairs slide at desks or can be used near kitchens. Coir floor mats are made from coconut fibers woven together and bound to a strong vinyl backing. Also known as Coco mats, these floor mats are often used as a heavy-duty mat at entrances to keep dirt and outdoor debris from ruining a business’s interior. Coir mats are often used in areas with snow to effectively clean shoes and boots. Rubber mats are heavily padded and can help prevent injury. Most horse mats are made of rubber to protect against the heavy blows of animal hooves. Buyer beware the best outdoor rubber mats may be heavy, so prepare to move these mats with a few friends. Foam mats are insulated to absorb sudden, heavy hits. 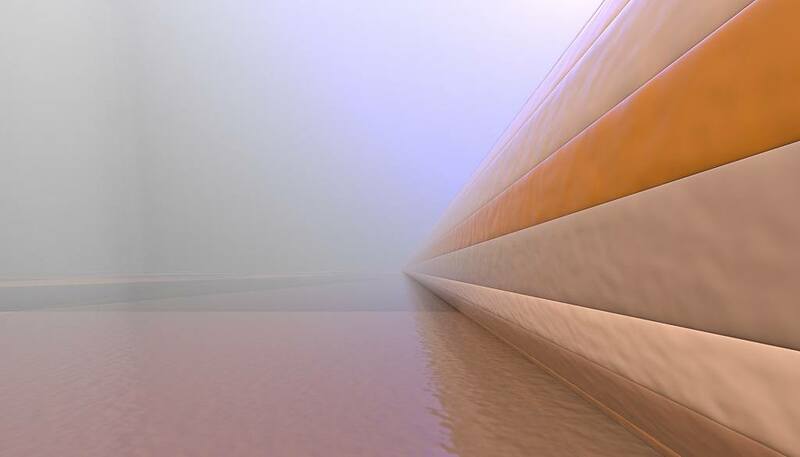 Tumbling mats and wrestling mats are usually made from foam with a thin overlying layer of vinyl or plastic. Anti-microbial mats are commercial-grade mats designed to prevent the spread of germs and microbes. Anti-microbial carpets can have a wide range of looks to support the professional appearance of a business. Floor mat installation differs quite a bit from mat to mat. Many of these mats are designed to be placed and removed. Installation for these mats isn’t very difficult. Feel free to move the mat in a few places to test it out and see where it works best! Temporary floor mats include tumbling mats, outdoor mats, car mats, wet area floor mats, some anti-fatigue mats, and logo mats. Semi-permanent floor mats aren’t easy to install, but they’re not impossible. Many of these mats, such as horse mats, can be heavy, so be sure to bring a friend. The best plan for installing these mats is to envision the space before moving the mat. Plan where the mat should be and think through if it’s in the best place to help people and animals. When installing these mats, be sure to go slowly to ensure all the parts are in the proper place. Some mats, like playground mats, can come with interlocking sections. These are not designed to be regularly moved but can be replaced without too much hassle. Again, plan out the design before installing the mats to prevent frustration. If installing these floors seems like a daunting task, consider calling a professional installation team. Semi-permanent floor mats include some horse mats, some playground mats, some anti-fatigue mats, some gym mats, some kitchen mats, and some anti-static mats. As the name suggests, permanent floor mats are meant to last a while. These mats are difficult to do with DIY installations – leave this one to the professionals. By having these mats installed professionally, businesses and homeowners can rest easy that the floor mats can do their job properly and keep people safe. Permanent floor mats include some horse mats, some playground mats, some gym mats, some kitchen mats, and some anti-static mats. Photo from: truelight / depositphotos.com, elenathewise / depositphotos.com, esperanzacarlos / depositphotos.com, tazik13 / depositphotos.com, destinacigdem / depositphotos.com.